California may be ahead of the game in curbing climate emissions, but the world as a whole is falling behind. After several years of leveling off, global emissions of heat-trapping carbon dioxide are on track for their largest jump in seven years, discouraging scientists. The announcement cast a pall over multinational climate talks happening this week in Poland. As negotiators hammer out details to put the 2015 Paris climate accord into effect, the latest emissions estimate puts some of the landmark agreement's goals nearly out of reach, scientists said. Formally, the broad goal set in Paris was to halt warming since pre-industrial times at 2 degrees Celsius. But more recently, scientists have advised that tightening the screws to 1.5 C would better safeguard humanity against the worst climate impacts, such as extreme weather events and rising seas. The GCP studies concluded that this year the world would spew 40.9 billion tons of carbon dioxide, up from 39.8 billion tons last year. The margin of error is about one percentage point on either side. California, thanks to aggressive regulation and incentives, is running several years ahead of schedule toward its 2020 goal of reducing emissions to 1990 levels. But California only accounts for about 1 percent of worldwide emissions. John Reilly, co-director of MIT's Joint Program on the Science and Policy of Global Change, said the results aren't too surprising because fossil fuels still account for 81 percent of the world's energy use. The burning of coal, oil and gas release carbon dioxide, which warms the Earth's atmosphere and oceans. Reilly, who wasn't part of the study, praised it as impressive. China increased its emissions to 11.4 billion tons, while the U.S. jumped to a shade under 6 billion tons. The European Union spewed 3.9 billion tons and India soared to 2.9 billion tons. Overall, the world is spewing about 1,300 tons (1,175 metric tons) of carbon dioxide into the air every second. Burning of coal — the biggest carbon emitter — is rising. 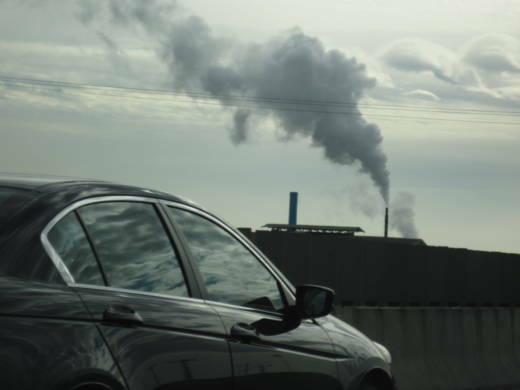 And while countries are using more renewable fuels and trying to reduce carbon from electricity production, emissions from cars and planes are steadily increasing, Le Quere said.